Engineered using advanced compression, an innovative muscle toning zone, and an ankle taping zone. 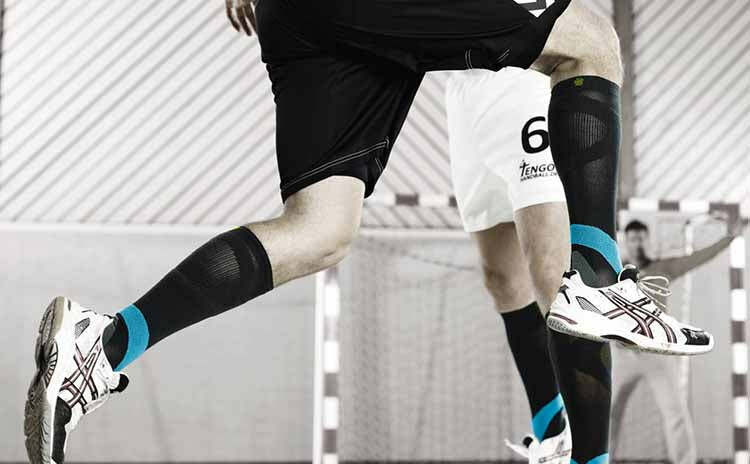 You will help to improve body awareness and on court performance when you wear these compression socks. These microfiber sports socks feel lightweight and comfortable on the skin and feature a moisture and temperature-regulating effect for cool comfort. Fast acceleration, cutting, jumping and sudden stops put the ankle and calf under stress. 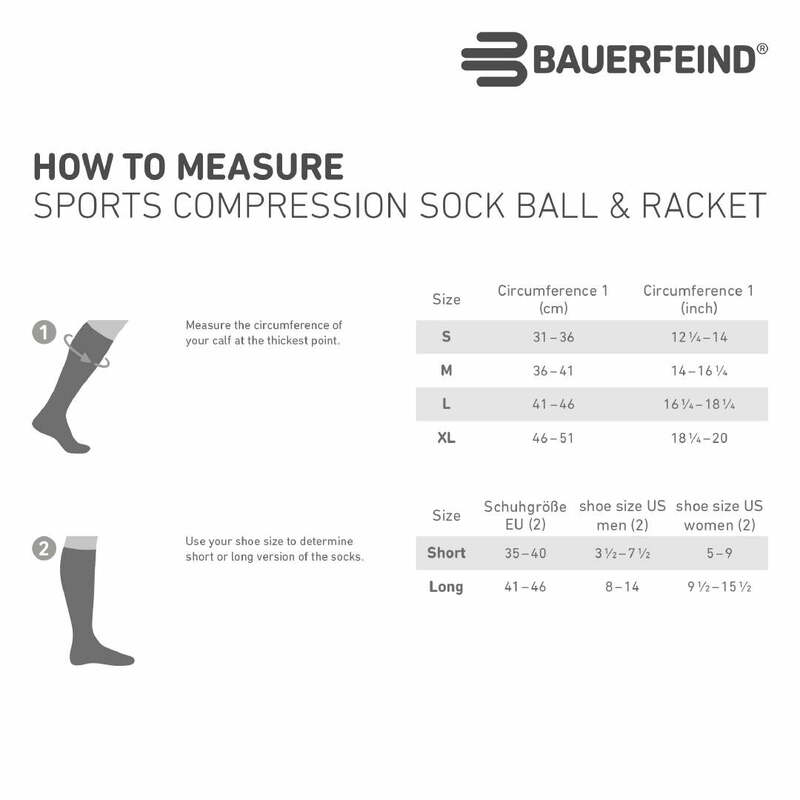 The Bauerfeind ball and racket sport compression socks target these areas with special compression zones to improve your agility and stability. Reduce leg fatigue and swelling, improve endurance and speed up recovery time. Use your European shoe size to determine short or long size. 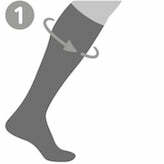 Sports compression socks should feel snug and firm but not constrictive. All Sports compression garments have a 30 day exchange policy.